What is Elves and the Shoemaker-The Ballet Summer Intensive ? Elves and the Shoemaker-The Ballet Summer Intensive is for students who want to use their summer time to develop a greater understanding and excel further in this dance form. 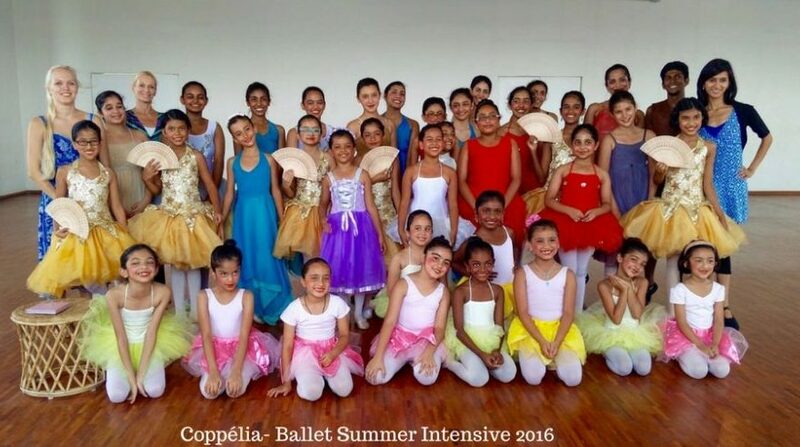 The intensive is different from usual classes as it involves a preparation for a small recital at the end of the two weeks, the children will also experience other forms of dance and body work such as jazz, character dance, mime and acting, and body conditioning. Children will also make a small memento to represent the recital. Where: Main Studio at Ulsoor. If you are looking to achieve new milestones in your ballet technique and gain a broader understanding of ballet, this intensive is for you. You can be part of a team working to put together a performance, get a well-rounded understanding of the art form, and feel inspired to continue ballet. Students, aged between 7 to 18 years old, who are a part of the Foundation can register for the Intensive.